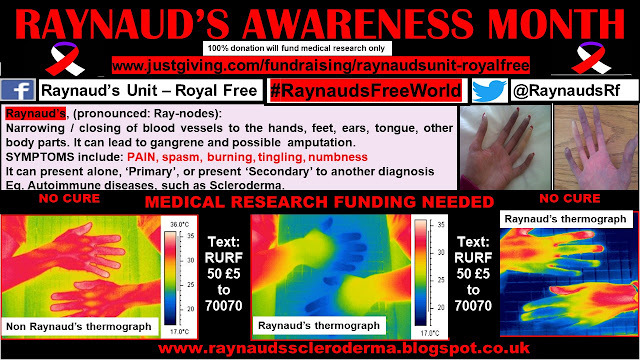 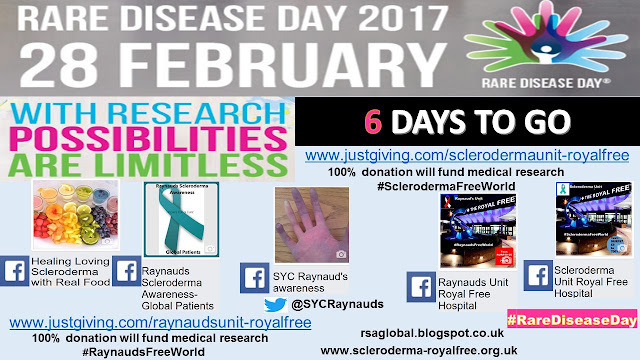 Raynauds Scleroderma Global Patients: The Countdown is on - 1 Week to go until Scleroderma (and Raynaud's) Awareness Month 2017. 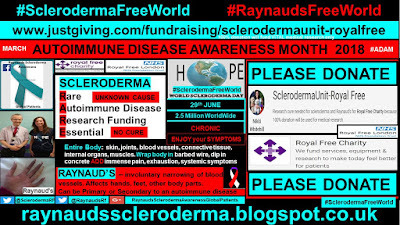 Autoimmune Rare Disease. 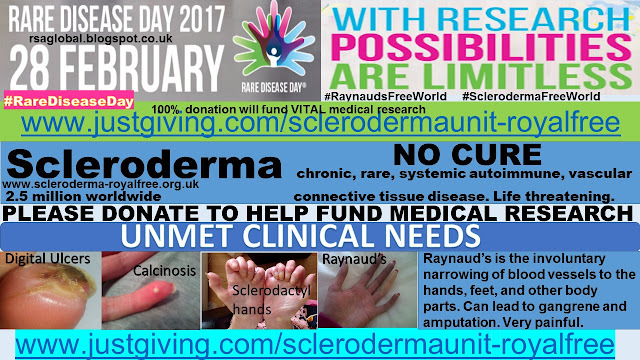 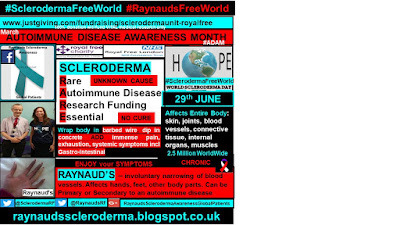 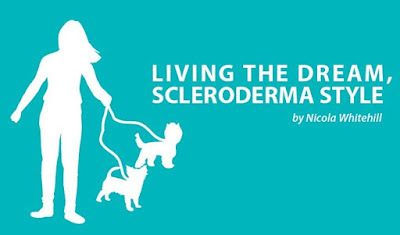 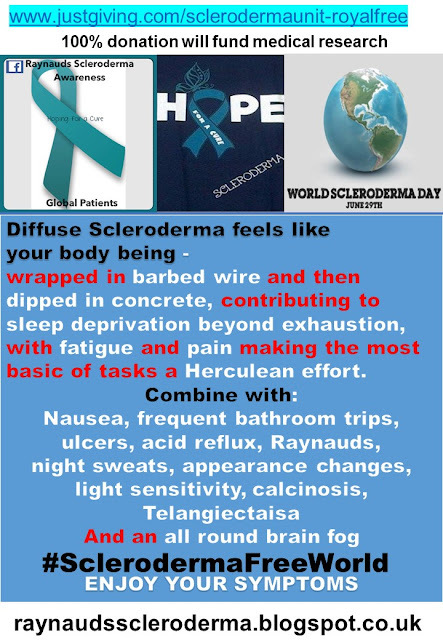 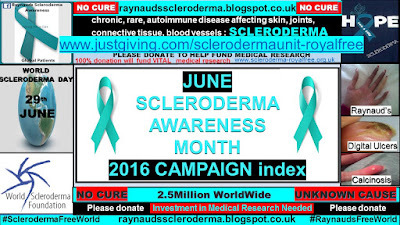 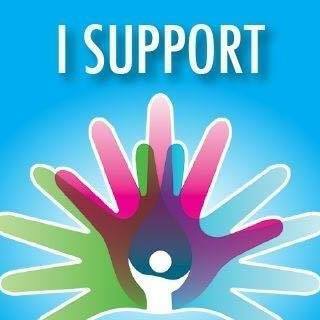 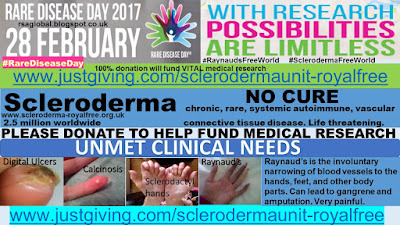 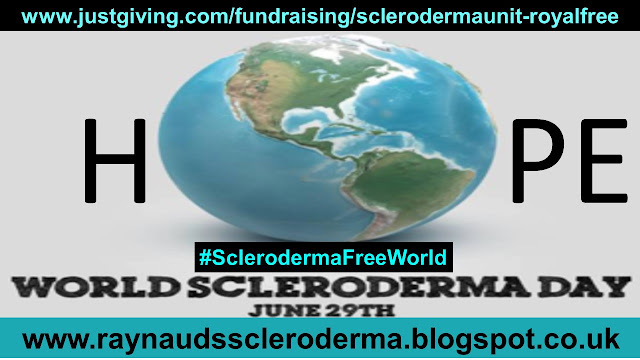 The Countdown is on - 1 Week to go until Scleroderma (and Raynaud's) Awareness Month 2017. 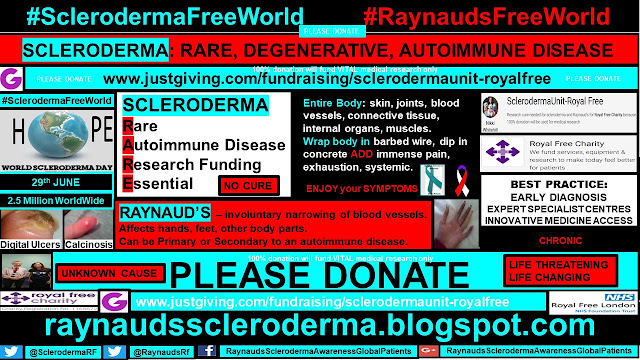 Autoimmune Rare Disease. 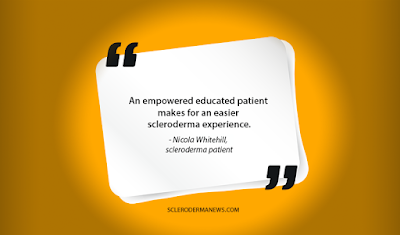 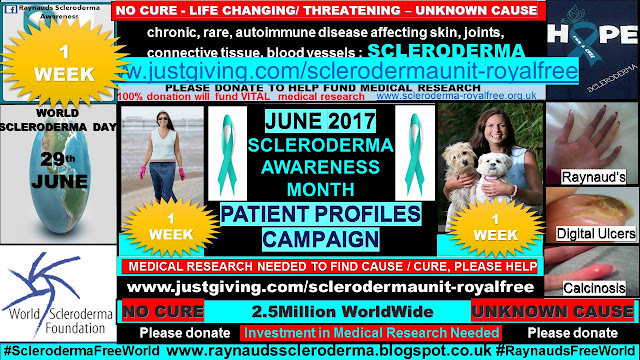 The countdown is on for June Scleroderma Awareness Month 2017. 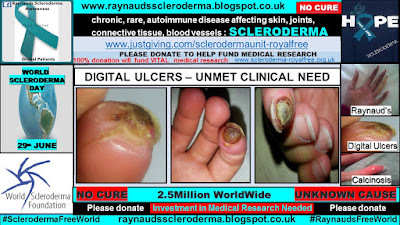 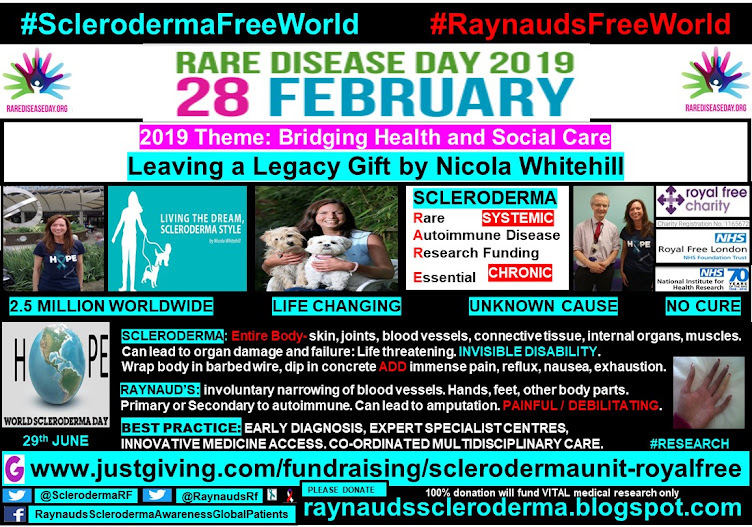 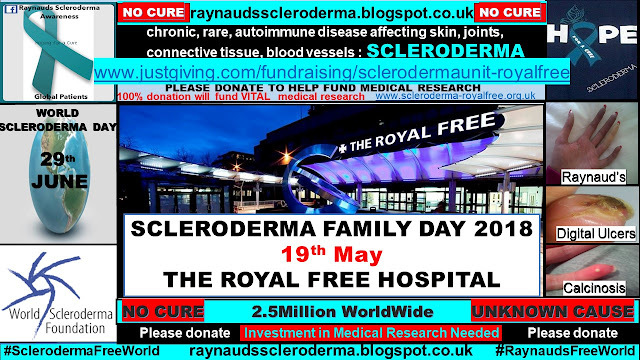 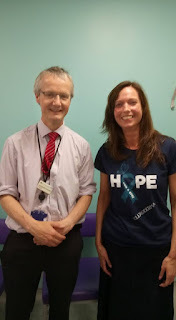 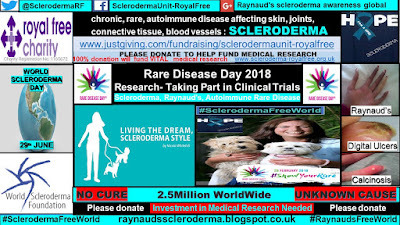 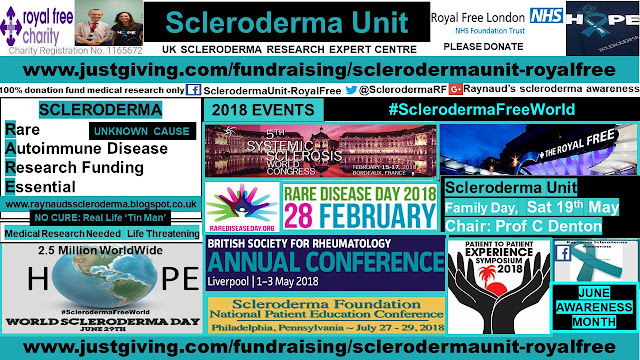 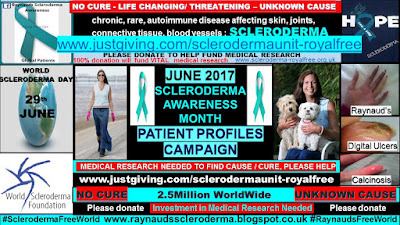 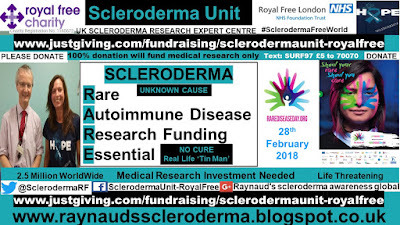 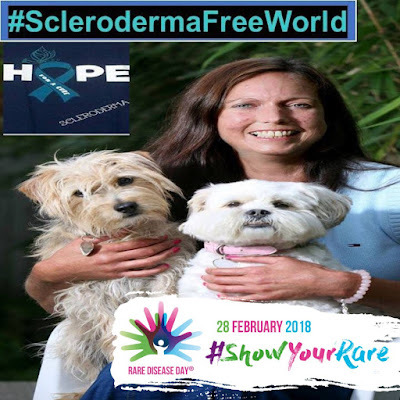 I have made the focus of my 2017 Scleroderma Awareness campaign, ‘Research’, combining the current unmet research needs for the scleroderma and Raynaud’s rare disease patient, with different global patient profiles.